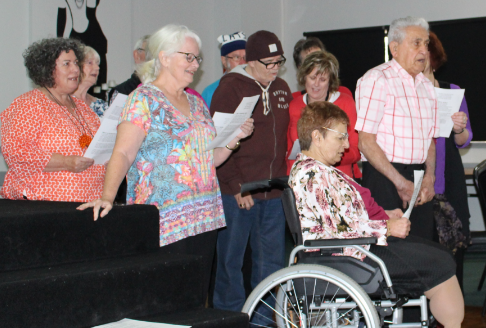 Heather Shearer, a proud Geelong local, believes she is fortunate to have the support she needs to keep living independently in her own home. When Heather’s husband died four years ago, she found herself in an unfamiliar situation. “I was caring for Keith in his final years, but when he passed away, I went from being a carer to someone who needed care. I’ve always been physically limited because I have rheumatoid arthritis, but I really went downhill at that point. I was struggling,” she says. 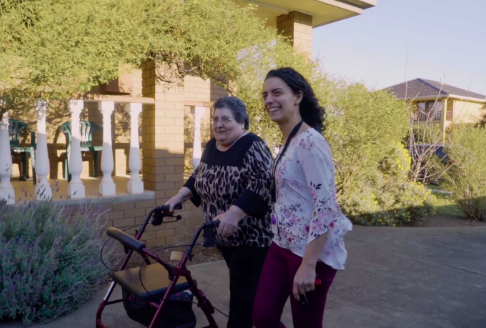 Following an aged care assessment, Heather was assigned a Home Care Package. She chose Baptcare to provide her home care services, because Baptcare had previously assisted with the care of her husband and she “couldn’t speak highly enough of them”. Along with household tasks such as vacuuming and cleaning, Baptcare also provides Heather with allied health services. These include regular podiatry visits and input from an occupational therapist, who has arranged equipment for Heather’s home, including a handrail for her bathroom, a wheelchair and a ramp.